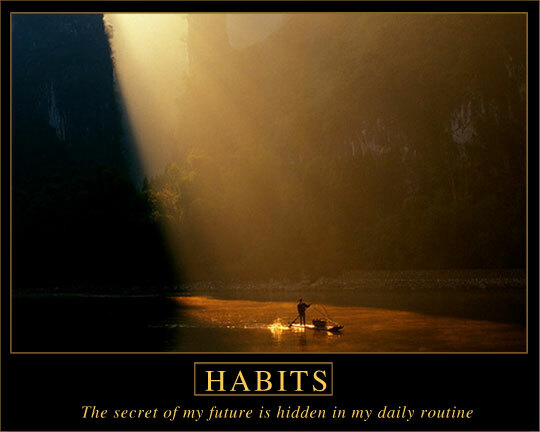 The secret of MY future is hidden in my daily routine! What would a healthy daily routine look like to you? Have you written that down? Yesterday’s webinar (web seminar) with Rev. Ron Davidson was awesome. What he had to share spoke so strongly to my spirit. Several times while Ron was sharing, my eyes flooded with tears. Ron has the heart of Jesus to serve the poor. While the group attending this webinar was quite small, every person was deeply impacted by what Ron had to say based on survey results. Every attendee made a commitment to make a donation to Gleaning for the World to benefit Operation Rescue Liberia. Ron says, “A vision is not a business plan. 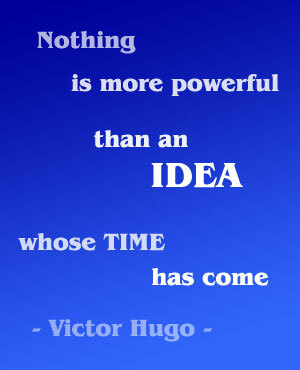 In fact most visions if written as a business plan would not make sense. A vision is from God for the purpose of reaching people with Gods love so God’s receives the glory. A vision is not normal and is uncommon.” That message really spoke to me since my growth goal for my current Implementation coaching course is to develop a business plan for my web company. Last night I went to bed at 10:30 PM and set my PDA alarm for 5:55 AM. Wouldn’t you know it, the Holy Spirit woke me up at 5:54 AM to formally begin my morning quiet time. This was less than one minute before my alarm went off. Mind you, it was dark and I had no clue what time it was. While lying in bed and listening to my scheduled iTunes playlist for the day, the Holy Spirit gave me an instruction to make a slight but profound change to the wording for the gorgeous poster image on my computer desktop. JJ Phillips, my anointed graphics artist, designed that. What was this profound yet simple change in wording? “The secret of your future is hidden in your daily routine!” became “The secret of my future is hidden in my daily routine!” While this may seem insignificant to many people, the change was huge because the message became personal and I see it every day when I come to my computer. The Holy Spirit made it crystal clear to me that my simple desktop image and scripture is His business plan for me. To see this gorgeous custom image, visit today’s Link of the Day. God has given me a huge vision and I won’t fulfill it by planning in detail. The Holy Spirit refuses to be put in a box. He’s much too great for that. O Holy Spirit, soul of my soul, I do adore thee. Thank You for enlightening, guiding, strengthening, and consoling me. Open the eyes of my readers today, speaking to them Spirit to spirit, to have them understand and apply today’s message to their own lives. Thank You Jesus, my King and my Redeemer! Amen and Hallelujah! Blessings to be men and women of “every day” like Dr. Jerry Falwell was! I am hosting another free webinar titled “UNCOMMON Internet Marketing Seminar” from Noon – 1 PM EDT on Wed March 19. This can be a huge blessing to your own network of friends and supporters. To learn more and register visit https://www.webinars777.com/index.php?option=com_content&task=view&id=25&Itemid=43&webinar_id=0000015. Thank you.